Congratulations to Mathias Wagner and Benjamin Titus, the winners of this year’s MASNA Student Scholarships! 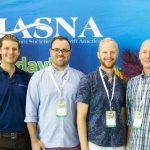 The two students will receive their awards, including a $4,000 scholarship each, this weekend at the 29th annual Marine Aquarium Conference of North America (MACNA), in New Orleans, LA. Mathias Wagner is full-time senior at the Ohio State University and is pursuing a Bachelor of Science with Honors in Evolution and Ecology with a minor in Spanish. At home Mathias keeps a 30-gallon reef tank containing a pair of A. ocellaris anemonefish and a scarlet cleaner shrimp along with LPS and soft corals. 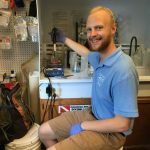 He is also interning Columbus Zoo and Aquarium working at the Discovery Reef, which features an 85,000 gallon indo-pacific aquarium as well as a 5,000 gallon live coral system. 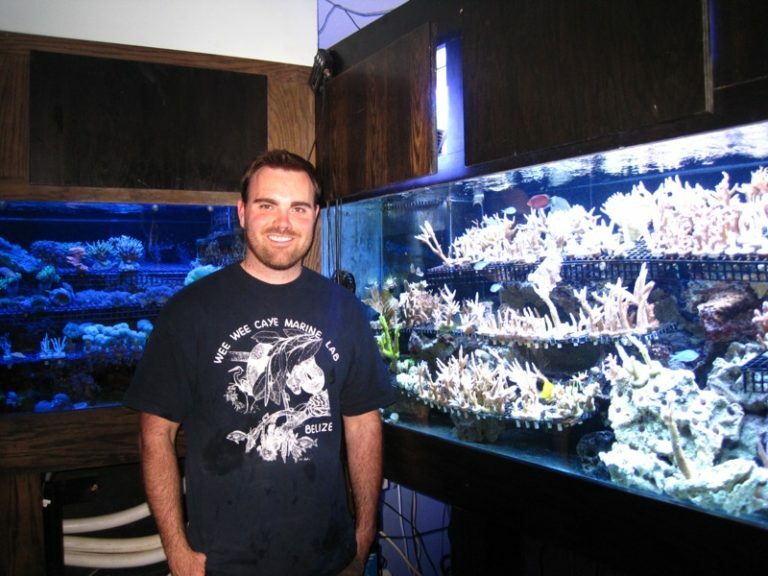 The focus of his internship at the Columbus Zoo and Aquarium is the advancement of captive breeding of aquarium fishes for both the public aquarium and hobbyist markets.At the university, Mathias volunteers in Dr. Andrea Grottoli laboratory, where they are investigating Hawaiian coral’s adaptability to levels of increased water temperature and acidity that are predicted to exist within 100 years. 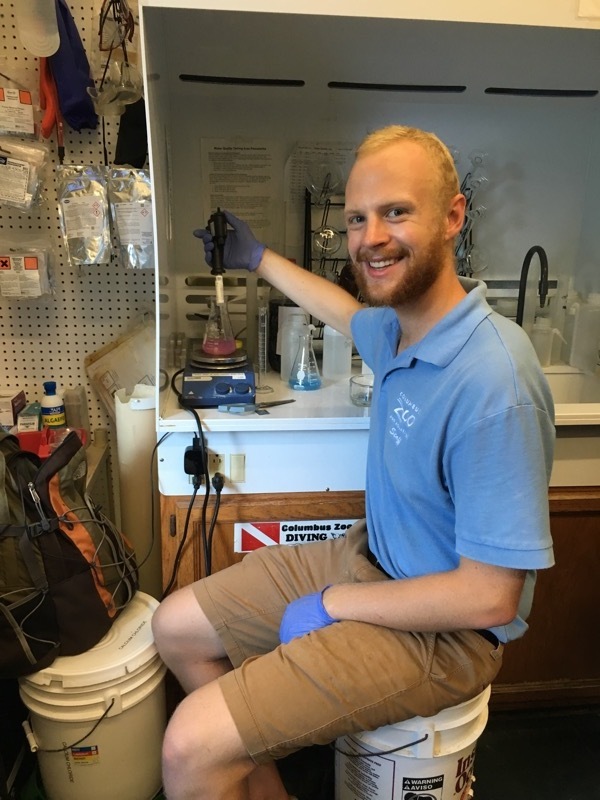 Mathias does this by measuring changes in coral photosynthesis and cellular respiration in Porites compressa and Montipora capitata specimens throughout experiments that induce bleaching and recovery. 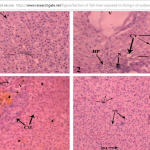 In the future, Mathias hopes to be able to continue contributing to captive breeding efforts either through a career within the field, or pursuing new research in graduate school.